Check out this drone video from Duncan Sinfield showing construction progress on Apple Campus 2. The footage shows that Apple has nearly completed work on its main ring building and has already started landscaping. 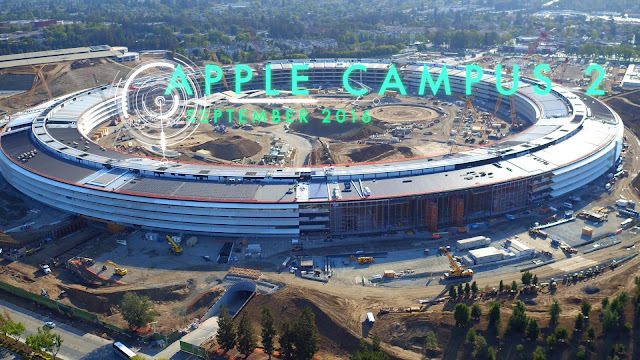 Filmed using the DJI Inspire 1 Pro, this spectacular aerial-only video is meant to provide you with the most up to date information on construction of THE LARGEST OFFICE BUILDING IN THE WORLD... APPLE CAMPUS 2! Apple expects to finish Apple Campus 2 by the end of the year and start moving employees into the facility in early 2017.